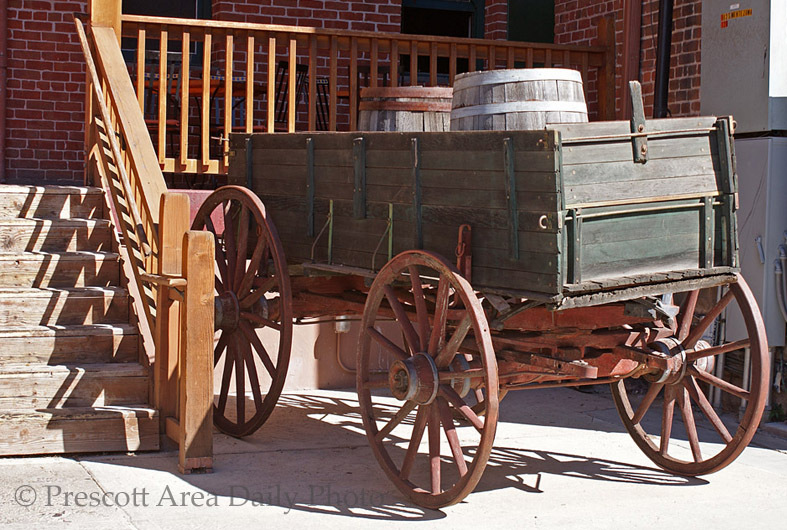 The wagon looks like it's carrying some whiskey barrels!. That's a great old wagon, too. I wonder how long it's been parked there. It looks to be in good shape! Now this photo and the name Whiskey Row make me think of the Wild West!